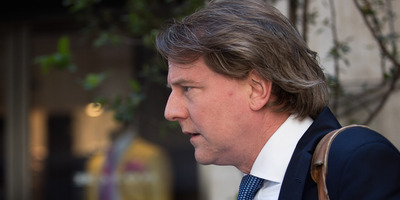 White House counsel Donald McGahn is under fire for his handling of the scandal surrounding a staff secretary who has been accused of domestic abuse. Similarly to chief of staff John Kelly, people are questioning what McGahn knew and when he knew it. White House counsel Donald McGahn is under the microscope for his role in the abuse scandal surrounding former staff secretary Rob Porter. While much of the attention has been placed on chief of staff John Kelly and his handling of the ordeal, McGahn was informed on multiple occassions since the start of President Donald Trump’s term of Porter’s ex-wives’ allegations about his past behaviour. That included learning last fall about the allegations of physical and mental abuse uncovered by the FBI,The Washington Post reported. But even though McGahn had such knowledge, Porter was allowed to not only stay on the job but see his influence within the White House increase. At the same time, he also managed to hold an interim security clearance for more than a year. Porter, who had an important behind-the-scenes job at the White House, resigned last week after those allegations became public. His two ex-wives provided publications with evidence of the alleged abuse. Colbie Holderness, Porter’s first ex-wife, provided photos to news outlets of a black eye she says he gave her. Jennifer Willoughby, Porter’s second ex-wife, provided a copy of a 2010 protective order she filed against him. Porter has denied the allegations. While the White House insisted the entire episode was handled within a day of the allegations coming to light, FBI Director Christopher Wray testified to the Senate Intelligence Committee on Tuesday that the bureau alerted the White House to problems with Porter’s background check months ago. An ex-girlfriend of Porter’s had also contacted McGahn to tell him that the senior White House aide was unfaithful to her with White House communications director Hope Hicks, who would later be reported to have dated Porter, and that he had anger problems, several people familiar with the conversation told The New York Times. McGahn then suggested to Porter that he should consider leaving the White House, those sources said, but the top White House lawyer apparently did not follow up on his suggestion. Meanwhile, White House press secretary Sarah Huckabee Sanders sought to distance the administration from the FBI director’s revelation. She told reporters during Tuesday’s briefing that a personnel office within the White House – but staffed by career officials – would have received the information Wray had discussed in his testimony. But legal experts and former White House officials told NBC News that McGahn would have been alerted quickly about any problems with Porter. “This would have been sent to McGahn’s desk as soon as the personnel office heard about it,” a former administration official who dealt with hiring staff in President Barack Obama’s White House told NBC News. Meanwhile, the House Committee on Oversight and Government Reform began a probe into the scandal. Democratic Rep. Elijah Cummings of Maryland, the ranking member on the committee, tweeted that he was looking forward to interviewing McGahn. On Thursday, Politico reported that Sanders has moved to have McGahn, in addition to Kelly, brief the press directly on their handling of the events, according to a person close to the White House. McGahn’s central role in not only the Porter controversy, but in past episodes involving the president, has caused both ongoing tensions with Trump and left the top lawyer isolated within the administration, The Post reported.